Home › Personal Injury › Auto Accidents › What is the value of your personal injury claim? The Griffin Law Firm has a very special free service that we provide to anyone with a valid personal injury claim. This offer is a Personal Injury Settlement Calculator. We encourage you to use the below link to submit your claim to us for this free Settlement Calculator Report. What are some of the factors that help attorney Richard Griffin calculate the likely settlement range for your personal injury claim? Extent of your Injuries: If your injuries are catastrophic and permanent rather than soft tissue sprains and strains, then your case has a greater value. Brain injuries, spinal injuries, disc herniations, fractures, joint injuries, and other permanent injuries have the highest value. Medical Treatment Required: The type of treatment you receive has a big role in determining the total value of your personal injury claim. Cost of your Medical Treatment: The total cost of your past and future medical treatment is a very important factor in the total value of your personal injury claim. Lost Wage Damages: How much money you have lost in lost wages past and future is also an important factor. If you have permanent disability due to your personal injury claim, then we use economist to establish what your life time wages would have been. Pain and Suffering Damages: We like to include specific examples of your pain and suffering in our settlement packages. This helps us convince the adjuster that the injuries have negatively impacted your life in a big way. Punitive Damages: Punitive damages are available when a negligent driver is guilty of DUI (drunk driving), hit and run, or some other horrible conduct that shows a reckless disregard for human life. Punitive damages can greatly increase the value of your personal injury claim depending on the facts of your case. Repeat or habitual offenders creates an even greater punitive damage exposure for the defendant and his or her insurance company. Venue: Usually your personal injury claim must be tried where the negligent driver, the defendant, lives at the time the lawsuit is filed. Many countries in Georgia are very conservative meaning the jury verdicts are often lower than usual. However, there are also many counties in Georgia where the jury verdicts are much higher. Our attorneys will always let you know how the venue in your case affects the projected value of your personal injury claim. Liability: Liability means that you must prove that the defendant was negligent before you can recover any of your personal injury damages. If the defense can argue that you were partially to blame or negligent for your personal injury claim, then this can reduce the value of your claim. Are you represented? If you are not represented, then your likely recover will usually be pennies on the dollar of the actual value of your personal injury claim. Studies by the Insurance Research Counsel concluded that if you consult with an attorney, then you will normally recover 40% more. If you hire a good personal injury attorney, then you will normally recover 3.5 times more. As you can see, you really owe it to yourself to call our attorneys today at 877-529-7070 or 877-PAIN-LAW. Jury Verdict Research: Jury Verdict Research is research to see what the most recent jury verdicts and settlements have been for similar cases to your case. The jury verdict research databases that we have access to are expensive and exclusively available to attorneys. 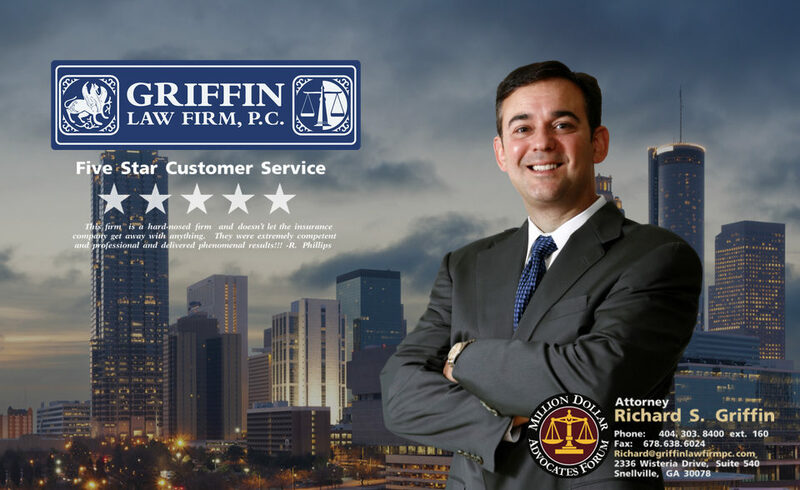 Attorney Richard Griffin has often used jury verdict research during the personal injury settlement negotiations and mediations to negotiate higher recoveries. In one case the adjuster’s offer increased from $18,000 to $250,000 for a personal injury claim involving a minor girl who was injured when a car negligently backed into her when she was straddling her bicycle. You really need to call us for legal representation so we can put all of our resources behind your case to make sure you receive a settlement or verdict that fully compensates you for your personal injury or wrongful death claim.